Like every year, Bengali restaurants in Hyderabad have announced special menus to celebrate the festive weekend. This year we are spoilt for choice with as many as four different food festivals showcasing Bengali food is being held around Poila Baisakh in different parts of the city. 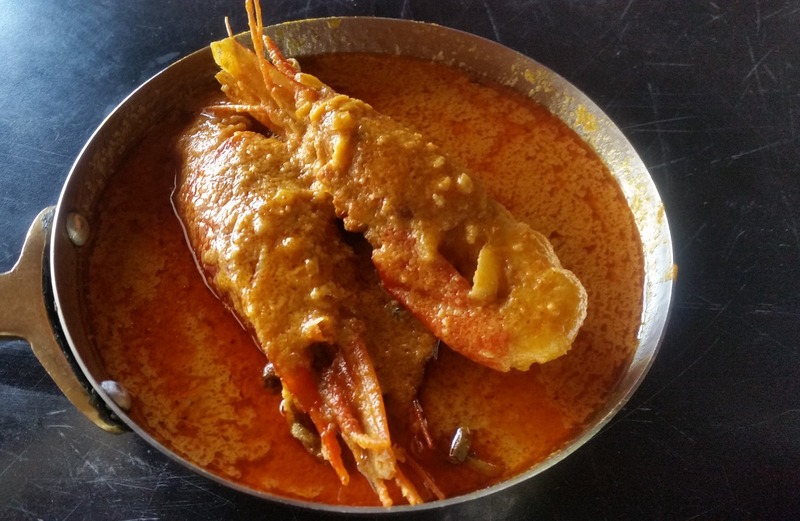 This surely is a pointer to the fact that Bengali cuisine has found itself a popular niche in the city of Hyderabad. At Call of Bengal, the Bengali restaurant at DLF Gachibowli, the festival is called “Poila Boisakh 2017”. The festival is on from 15th to 17th April, with a special unlimited buffet for lunch and dinner. At a preview of some of the items from the special spread planned for the festival, one of the dishes I instantly liked was Begun Basanti. The slivers of eggplant were covered with some delicious mustard-based sauce, which went very well with steamed rice. Another vegetarian dish of note was Tok Jhal Phulkopi and tangy and spicy preparation of cauliflower. 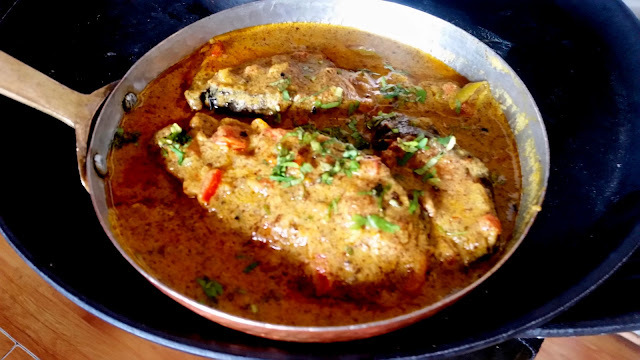 Among the non-vegetarian items on the menu, Chingri Dhokar Dalna was an innovative preparation. Prawns have been used to prepare the dhoka instead of traditional lentil. Mou Ganguli, the owner of Call Bengal told us that this was a recipe from her household. 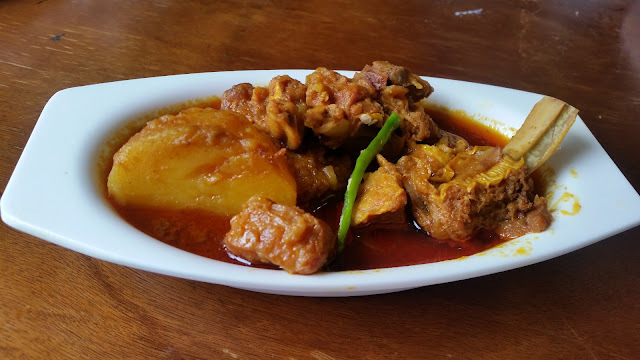 A very interesting dish, the closest I have tasted is Chital Muitha, a signature Bengali dish. 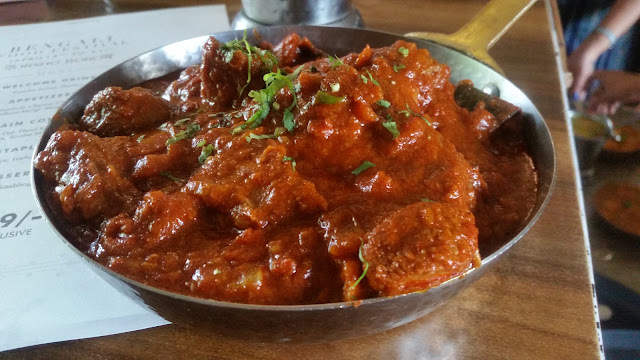 Tel Jhal Murgi, the dry preparation of chicken was my favourite with Luchis. Pathar Mangsher Jhol at Call of Bengal is always very good, and today was no exception. The festival menu also includes other items like Fish Fry, Mochar Chop, and Nolen Gurer Doi. As usual, Call of Bengal has focused on a menu of home recipes, simple but delicious. The buffet is priced at Rs 599 plus taxes for both lunch and dinner. Aish, the Indian restaurant of The Park, Hyderabad has made the Bengali food festival an annual event, and this year is no exception. The hotel has roped in home chefs and sisters Sarbani and Swarnali Lahiri. The festival named “Barsha Baran” will run from 14th to 16th April, and has a special focus on recipes from East Bengal. The snacks in this menu boast of Dimer Devil, allegedly the Kolkata adaptation of Scotch Eggs during the period of the Raj (though some say that the scotch egg itself was a take on Mughlai Nargisi Kofta). Fish Fry here was chunky and not a fillet as you normally expect. 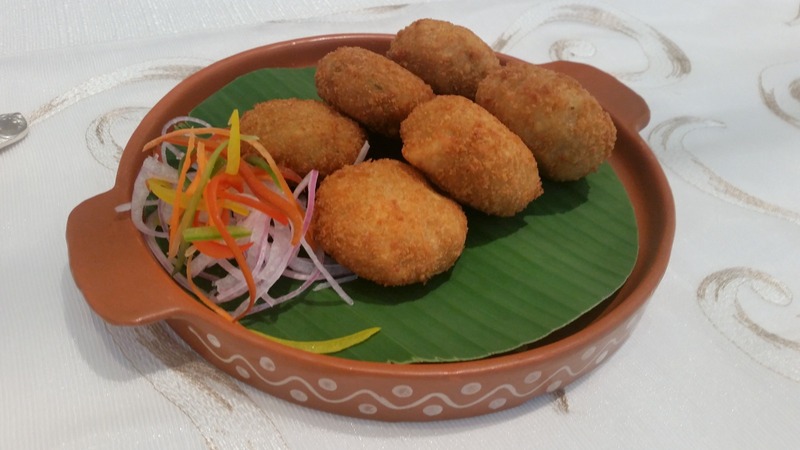 Echorer Chop, a croquette of raw jackfruit and the Bengali Singara were the other starters. Highlights of the preview were the vegetarian main courses – especially Shukto (a signature Bengali mixed veg curry cooked in milk which goes with rice) and Potol Posto (a pointed gourd/parwal preparation with khus khus in a traditional Bengali way) both of which were simple but delicious. The non-veg items like Prawn Malai Curry, Kosha Mangsho, and Doi Mach were very well prepared too. 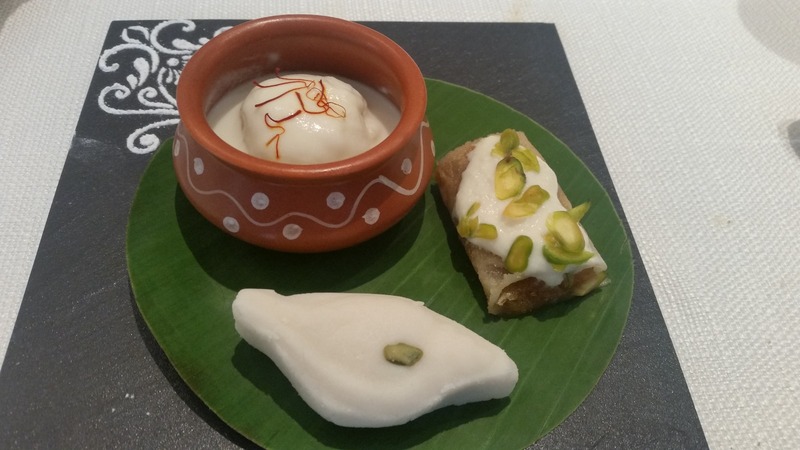 Among the desserts Malai Rasogolla stole the show, The Pati Shapta was soft and nice too. The thali for lunch and dinner is priced at Rs 1199 plus taxes. The items on the menu will change every day. They are also planning to have a separate biryani thali for the festival. United Kitchens of India is calling their festival “Borsho Boron”. I am happy to be involved with this promotion in a small way - in helping them to curate a special menu for the six-day festival. 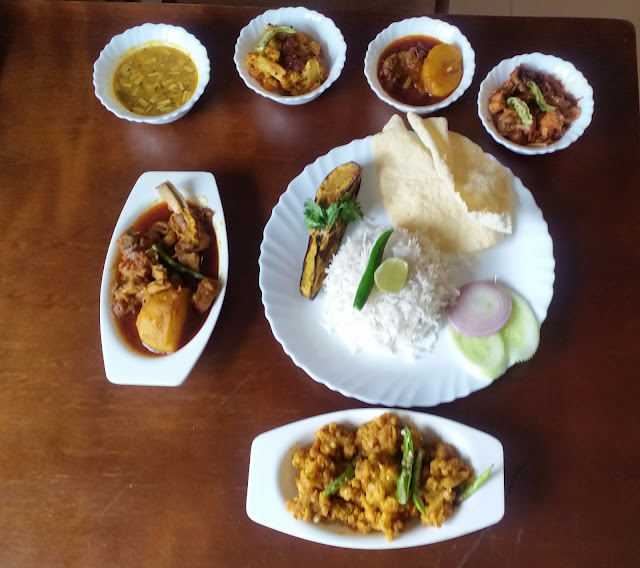 The items included in the promotion went much beyond the normal items on their Bengali menu, with Fish Orly (fish fillet fried in a batter of flour and eggs), a popular dish in the Bengali wedding menu, as well as Radhuni Murgi, a dry preparation of chicken in the aromatic Bengali spice. Other starters of note are Koraishuti Chhanar Chop and Moglai Parota, and of course, Beguni which the restaurant prepares so well. Luchi and Alur Dom provides a good combo, and the Mishti Pulao was a perfect foil for Phulkopir Kaliya and Kosha Mangsho. And finally, there were the dishes to go with rice, Bhaja Muger Daal, Sorshe Mach, Chingri Macher Korma and Murgir Jhol. Apart from Chaler payesh and Kachagolla Sandesh, a special attraction was Sitabhog from Bardhaman, a dessert prepared with thin portions of rice and chhana soaked in sugar syrup. The special menu comes at a bargain price of Rs 799 (All Inclusive). The festival is on from April 15th to 21st, both for lunch and dinner. 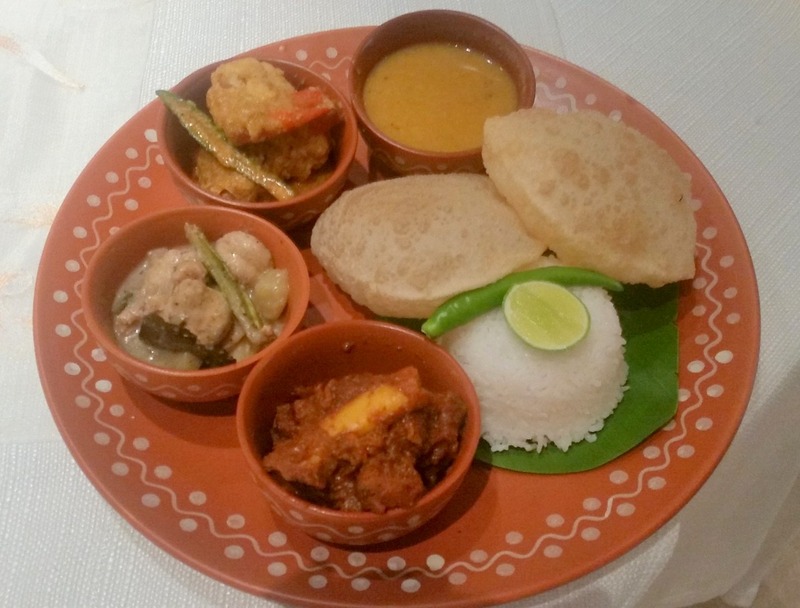 Chill Restaurant & Terrace, the all-day dining restaurant at Radisson Blu Plaza Hotel Banjara Hills, is organizing a ten-day long festivity to celebrate Bengali food. The festival is part of the buffet only for dinner. The festival menu has been designed by their in-house team of chefs and has a long list of items. 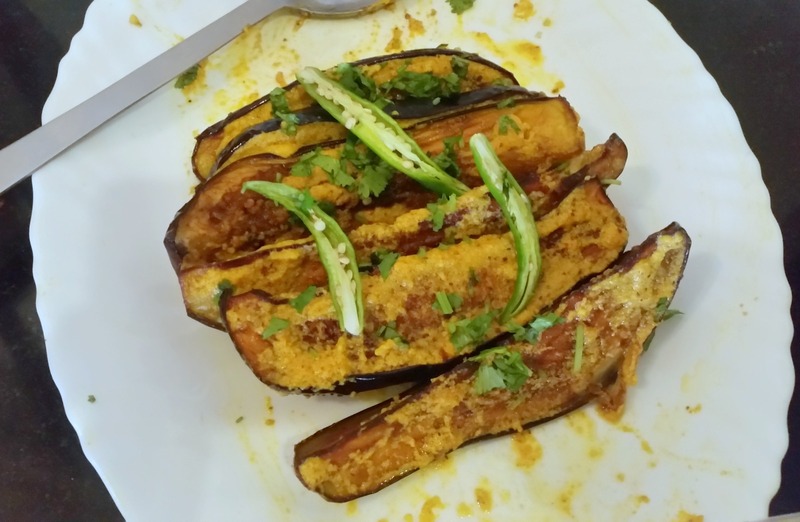 At a preview, Executive Chef Sarabjeet Walia mentioned that they have made efforts to present authentic Bengali dishes in their true form, as well as some with a twist. The starters here includes Kathal Kathi Kabab, a preparation of raw jackfruit. I loved the Sorshe Malai Mach, a dry variant of the mustard fish. 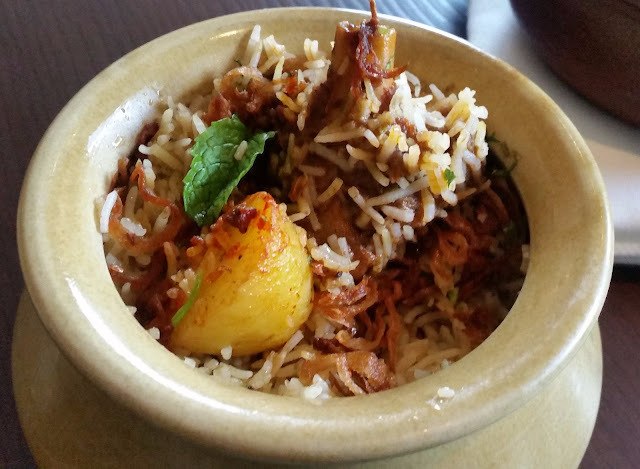 Among the main courses, the first thing to talk about is the Kolkata Mutton Biryani. Very few places in Hyderabad can prepare a good Kolkata version of biryani, the dish at Radisson had the flavours and taste. The Katla Macher Jhol and Murgir Jhol were simple home type preparations. 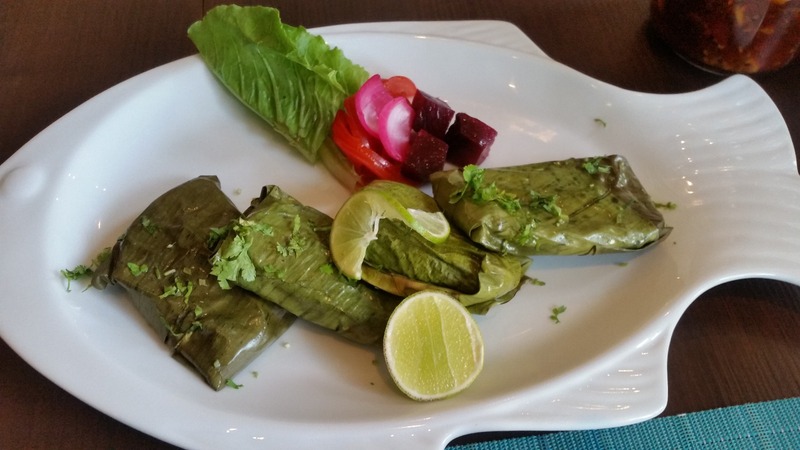 The Bhetki Paturi (bhetki fish in a mustard based masala wrapped inside a banana leaf and steamed) tasted good, though I would have liked a boneless version here. The Kosha Mangsho was quite decent too. Among the veg preparations were Shukto, Chholar Daal, Alu Posto and Chanar Dalna. The desserts included some good quality Misti Doi, Rosogolla as well as Sandesh. The buffet is priced at Rs 1250 plus taxes. They have a long list of items, so the menu will differ from day to day. Choosing which festival to visit may not be easy, as all the places have put in their best efforts to present Bengali food in the most authentic way. Depending on your budget and food preferences decide on the restaurant. Before visiting, call them up to check if your favourite items are on the day’s menu. And finally, it is always better to book in advance, as often there may be quite a rush.